During the blah (and in many places cold) depths of January, it’s nice to look ahead to brighter days. And what day is warmer and brighter than a special day set aside to recognize the ones you love? Yes, it’s almost Valentine’s Day! At Bunches Direct we are looking for ways to warm the heart. We love hearing from our brides, brides-to-be and bride families. We would love to see a photo of you and your SO (Significant Other) in a funny or happy state that makes you the Cutest Couple Ever! If you want to send in a photo of friends or family who you think are the Cutest Couple, that’s great too (your parents, your children, your in-laws, etc.). Send a photo or a video clip of your Cutest Couple to the team at Bunches Direct. Make us all smile and you could win a gorgeous bouquet of roses for Valentine’s Day!! 1. Send your photos/ videos to [email protected]. 2. Contest deadline is Friday February 6, 2015, by 12 noon EST (Eastern Standard Time). 3. Contest winners will be determined by a panel of Bunches Direct employees. We will also take into account Likes, Favourites and ReTweets on social media, so be sure to vote (and get your friends involved). 4. 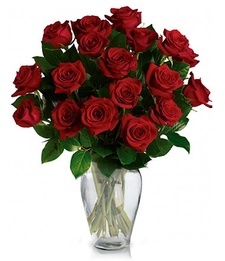 Top entry will win a spectacular Valentine’s bouquet of two dozen roses! 5. By submitting your photos and/or video you agree that you have permission to submit and that you allow Bunches Direct to post your submitted materials publicly on sites including but not limited to www.bunchesdirect.com, the Bunches Direct Blog, Facebook Page, Twitter feed, and/or YouTube channel. 6. Contest open to residents of North America. AND don’t forget to read more at our Bunches Direct Blog, such as a great recap of the Cameron Diaz- Benji Madden wedding in Beverly Hills! Its official! After only seven months of dating, Cameron Diaz officially tied the knot with Good Charlotte rocker Benji Madden January 5. The pair began the wedding countdown by hosting an intimate dinner at their Beverly Hills home for a small group of friends that included best pal Drew Barrymore, as well as family members Joel Madden and Nicole Richie.Madden, 35, and Diaz, 42, were also seen celebrating at Il Cielo on Saturday night at a romantic table setting with rose petals and candles, according to a source for People magazine. Cameron apparently spent Sunday night in a hotel room with her girlfriends. The wedding took place Monday at approximately 5 p.m. at their Beverly Hills mansion and was organized by wedding planners Yifat Oren and Stefanie Cove (who have done many celeb weddings such as those of Natalie Portman and Reece Witherspoon). Cameron and Benji worked hard along with their planners to keep things private, intimate and away from the prying eyes of the paps as much as possible. Party rental trucks and bunches of white wedding flowers began arriving Monday morning to the gated community where Diaz and Madden live. A huge tent was installed on the grounds, and there was a lot of security present. Prior to the ceremony, the couple got ready in separate rooms. The bridesmaids included Nicole Richie (Cameron’s new sister-in-law), Drew Barrymore, Cameron’s older sister Chimene Cain, and Cameron’s assistant Jesse Lutz. Al the ladies got their makeup done by Lona Vigi. Madden and his groomsmen/brothers, Josh and Joel Madden, wore black tuxes. Apparently Madden gave his bride a special note that she received just before the vows. The bridesmaids wore black dresses and carried white bouquets. They entered the ceremony to a a Ryan Adams song. The paparazzi managed to snap a few photos of the grounds, as well as this makeshift tent arrangement under which Cameron hid so that her dress would remain a secret. The ring bearer was Benji’s nephew Sparrow Madden, the 5-year-old son of Nicole Richie and Joel Madden, who briefly dropped the ring to the chuckles of the guests. In another small glitch the lights went out for about 10 seconds just prior to Cameron’s entrance but fortunately restored. Cameron then walked in to “Stardust” by Nat King Cole. The current scoop is that her gown had a low-cut back and lots of sparkle, but we eagerly await photos. The ceremony itself was Jewish, though neither Cameron or Benji are confirmed to be of this faith. It included the traditional breaking of glass and “mazel tov’s.” After the vows, the couple entered a private room for time together away from guests in another Jewish wedding ritual known as Yichud. The approximately 100 guests included fellow celebrities such as Gwyneth Paltrow, Lionel Richie, Nancy Juvonen, Judd Apatow, Samantha Ronson, Christina Applegate, Robin Antin, and Toni Collette. 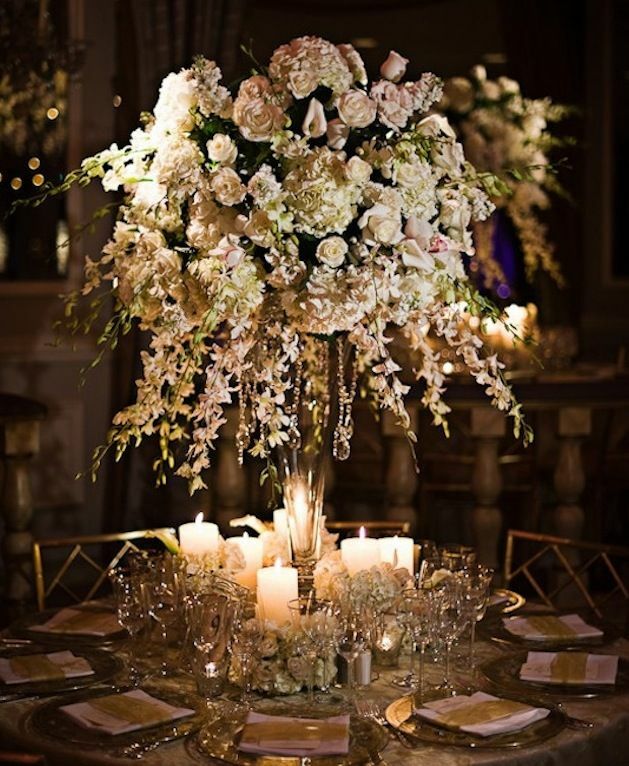 Following the short ceremony, guests enjoyed a cocktail hour in the backyard’s outdoor tent, which was decorated with olive trees, beeswax candles and linen tablecloths. DJ Patrick Belton got guests on the dance floor with many upbeat tunes. 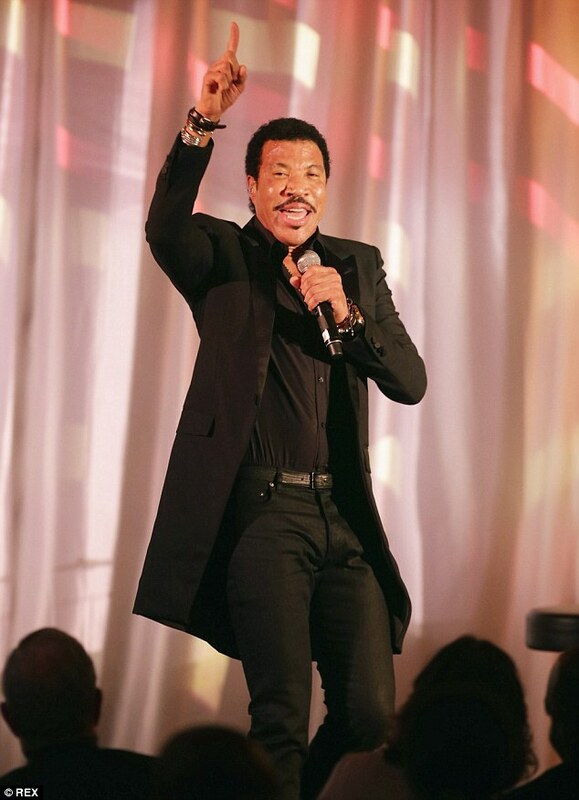 Live performances were made by Lionel Richie and Ryan Adams. Cameron apparently changed into a second white dress that was described as short-sleeved, floor-length, with beaded sequins. The reception was not a late-night event, with many guests appearing to exit by about 11 p.m. The remaining close family and friends departed around midnight. Cameron and Benji seem thrilled to be hitched.”We couldn’t be happier to begin our new journey together surrounded by our closest family and friends,” the couple shared with People magazine after the wedding. We can’t wait to see more wedding photos!